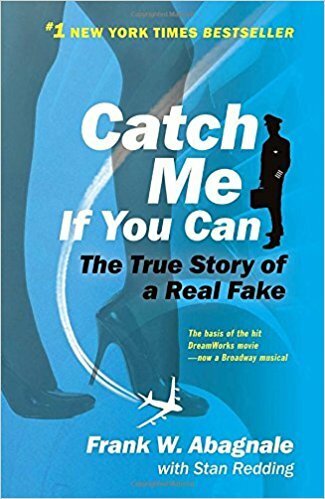 Frank W. Abagnale, alias Frank Williams, Robert Conrad, Frank Adams, and Robert Monjo, was one of the most daring con men, forgers, imposters, and escape artists in history. In his brief but notorious criminal career, Abagnale donned a pilot’s uniform and copiloted a Pan Am jet, masqueraded as the supervising resident of a hospital, practiced law without a license, passed himself off as a college sociology professor, and cashed over $2.5 million in forged checks, all before he was twenty-one. Catch Me If You Can is a fun read. It was very hard for me to put down when I got into it. I laughed sometimes and was rather shocked other times. It is unimaginable what Frank Abagnale got away with on his crime spree. I really liked how it was written and I feel like I know a lot more about crime now. I highly recommend this book for people who enjoy memoirs and interesting stories.